You can train hard and diligently to improve your skill and endurance. Of course, training and practice are the vital primary factors; without training and practice, you are going nowhere, even if you take all the best supplements available on the market. However, on the other side, you can boost your progress by supporting your training with a decent supplement. You can take an endurance supplement to keep your energy levels at max, allowing you to train to your fullest for the best effects. Now, there are two endurance supplements that are quite popular on the market. They are EPO Boost and Optygen HP. So, which is the best supplement that you better take? EPO Boost claims that there is scientific research that supports its effects. It claims that the scientists from the Northwestern State University have discovered a natural way using a performance supplement to boost the erythropoietin (EPO) in your body and hence enhancing both your ability to intake oxygen and the rate of your body’s oxygen consumption. EPO is a natural hormone produced in the kidneys and works in the bone marrow to release new red blood cells into the bloodstream. 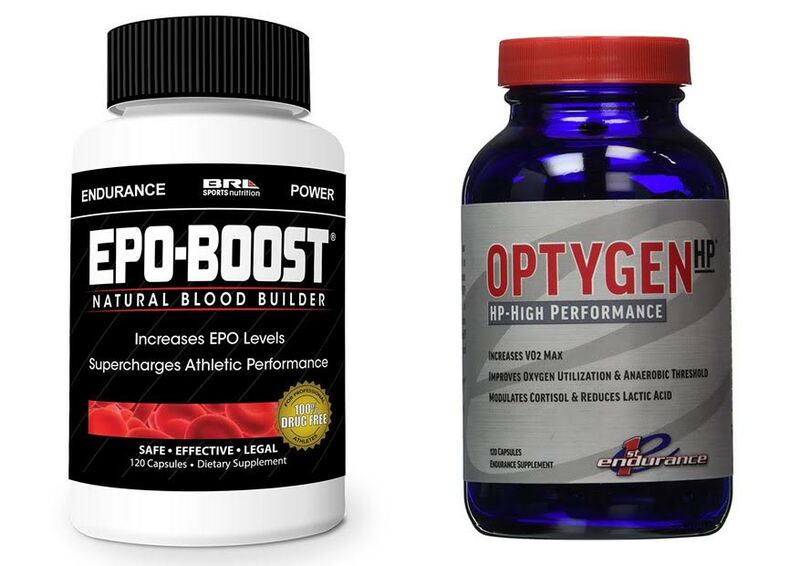 EPO Boost is based on this research, and it functions to increase the EPO level, dramatically increase your oxygen intake, improve endurance, and build strength. On the other hand, Optygen HP is a stimulant-free endurance supplement that aims to optimize your aerobic performance by increasing the VO2 max (that is the oxygen intake of the body), improving your body’s oxygen utilization and anaerobic threshold, and reducing lactic acid. Well, these effects, if true, are indeed very beneficial. Reduced lactic acid levels will allow your muscles to perform more without getting tired – though, if pushed too far, may risk the muscles to get damaged. You should not expect such a drastic effect from such kind of supplements. After all, these supplements are meant to support your performance, not to create some magic. Many users have said that EPO Boost indeed works. It helps in improving their endurance, allowing them to run and exercise longer. They don’t get tired easily when exercising after consuming the product. There is no significant side effect. However, some users are concerned that EPO Boost is not fully natural; in fact, there is an artificial coloring agent which is not exactly healthy for the body. On the other hand, users of Optygen HP also praised that the supplement has an effect of enhancing their endurance for intense training. The possible side effect is that there can be some tingling feeling, but nothing extreme. In the end, there is no magical supplement. These supplements function to support your training by enhancing your endurance. Both EPO Boost and Optygen HP are said to be effective. But we recommend you to choose Optygen HP, which doesn’t contain artificial coloring agent like EPO Boost does.